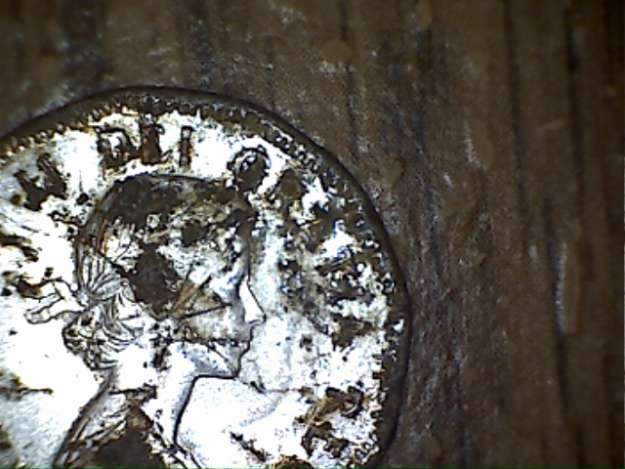 My wonderful wife always brings home any odd coin she finds.Now I have been looking for this variety for a long time.But why did the god of corrosion have to get it first!!? Oh well a piece of filler for my old Whitman. Has to be a 1953 NSF near leaf or a 1953 SF far leaf. Not too sure how he can tell, but either way it's a darn shame. sorry I didn't show the date. yes if you look at the "I" in DEI you can see it is a shoulder fold variety. And after comparing it to many of the more common,near leaf/far leaf varieties , I am sure it is the 1953 shoulder fold far leaf. Could it be the missing chrome variety? only missing chrome were all that rust is. I have hunted in 90 degree weather at the end of September, and I have also broken ice to get onto a marsh at the end of September. 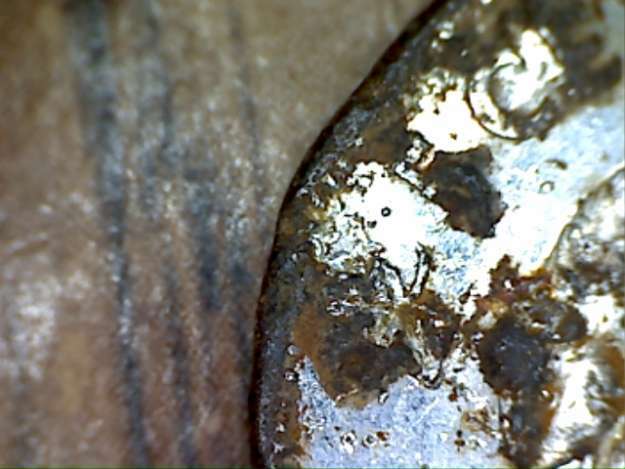 Unfortunately these coins were made with chrome and steel, both are susceptible to corrosion over years and years.